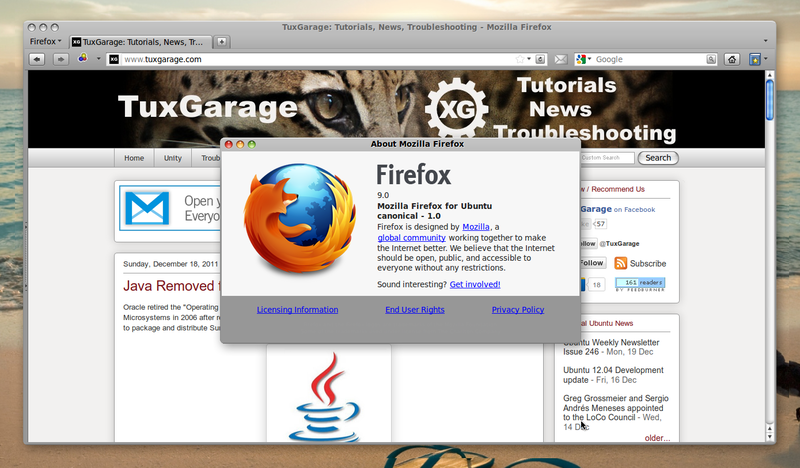 Firefox 9 was released one day ago and this time, surprisingly, it has already landed in the 'firefox-stable' PPA. 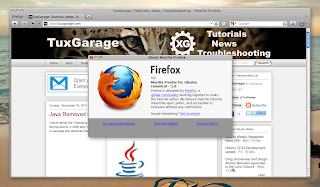 Quite earlier than anyone would have expected, and keeping in mind that Firefox 8 almost took 3 weeks for the same, however that delay was caused by some bug as they said. Firefox 9 isn't yet available in the official repositories for Natty and Oneiric, I expect it to land there in the next couple of hours probably, but it might as well take a couple of days. Firefox 9 isn't available in the official repositories for Natty and Oneiric yet, but it would be there soon, hopefully. Then you can simply run Update Manager to get the latest version.